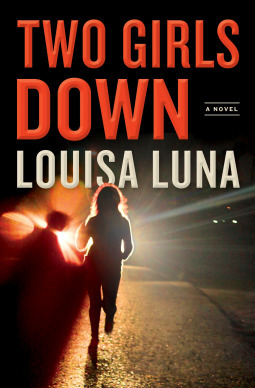 From Goodreads.com: When two young sisters disappear from a strip mall parking lot in a small Pennsylvania town, their devastated mother hires an enigmatic bounty hunter, Alice Vega, to help find the girls. Immediately shut out by a local police department already stretched thin by budget cuts and the growing OxyContin and meth epidemic, Vega enlists the help of a disgraced former cop, Max Caplan. Cap is a man trying to put the scandal of his past behind him and move on, but Vega needs his help to find the girls, and she will not be denied. I'm still very much unsure as to how I actually feel about this story. On one hand it was interesting, and felt very realistic (in the steps and false leads that typically go into these kinds of cases), on the other hand... there was just so much going on that at times it became over-whelming. The author definitely is a solid writer. She knows how to weave a story and how to draw the reader in, the problem becomes when there is so much going on that the story seems to drag on and the reader gets bored. I feel there are some elements of this that could be eliminated altogether, or changed up that would bump this story up in terms of enjoyment. Due to the fact that this story doesn't come out until January of 2018, I will definitely keep an eye out for a more "updated" version and gladly edit my review to reflect any changes that I see. Overall, I am sure this story may still appeal to those who enjoy a good thriller novel.